Pentair is one of the most recognized names in the swimming pool industry. Their line of products is one of the top rated in the world. These products range from Above Ground Systems, Cleaners and Sanitizers. One of the most important things that you can do for your swimming pool is to keep it clean not just for the look of the swimming pool but also for the health of the swimmers. 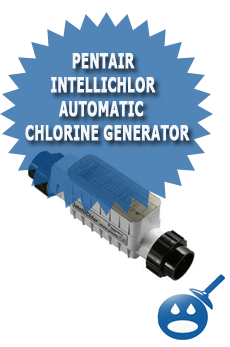 One of Pentair’s premier products is the IntelliChlor Automatic Chlorine Generator. This product can offer you less time sanitizing your pool but still get that effective cleaning it needs. There is nothing fancy about this cleaner, unlike other chlorinators this product uses common table salt which will help turn into chlorine that your swimming pool needs. One reason why more pool owners are turning to chlorine generators is that it does use the harshness of pure chlorine. 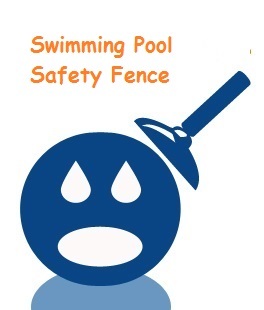 It is safer for your swimming pool and for those who use it. Now you can keep healthy levels of chlorine without the smell or the eye or skin irritation that often follows chlorine. Let’s take a look and some of the features and specifications of the Pentair IntelliChlor Automatic Chlorine Generator. This chlorine generator from Pentair offers 100% full diagnostic systems. This system includes the capacity to track the cell life of the unit that includes the amount of time left. This diagnostic system will hold and keep all of the performance data that includes the cleanliness of the cell, the production hours as well as salt readings and the water temperatures too. This system offers about 10,000 cell blades of operation. This equals about 5 years of dependable chlorine generation. This device comes with an automatic shut off that can protect the unit and it can even lengthen the life of the cell blades when used with low water temperatures. This system comes with a push button style operation and an easy to see display that will provide you with a look of the salt levels, water flow and the amount of sanitizer that is going out. This unit comes with the capacity to talk to the IntelliTouch, EasyTouch and the SunTouch Automated Systems. There are three different styles of the IntelliChlor Automatic Chlorine Generators. 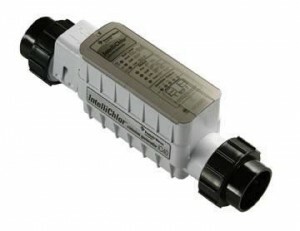 The IntelliChlor IC20 Cell that works with swimming pools up to 20,000 gallons of water. The IntelliChlor IC40 Cell that works on swimming pools with up to 40,000 gallons of water and the IntelliChlor IC60P Cell that is the United States Version and it can be used with swimming pools up to 60,000 gallons of water. When using the IntelliChlor Automatic Chlorine Generator you will need the IntelliChlor Power Center. This power center will change the AC current into a low voltage DC current that is needed to run the IntelliChlor System. With this automatic system you will get the same effective cleaning as you would from a manual control system but there are no drawbacks such as eye and skin irritation, green hair and no more strong chlorine smell. This system is also less expensive to run than other systems, there are no expensive bags of salt to buy. This chlorine generator uses common table salt so you can have the same great effective sanitizing without the chemicals. This is safe to use and you can go swimming soon after use. The Pentair IntelliChlor is a high quality, high performance product that can help you keep your swimming pool healthy throughout the entire summer. This is one of the chlorine generators that are affordable and it uses only common table salt. This process makes this chlorine generator an Eco Select product. No chemicals to affect the environment, the swimmers and your swimming pool filters and pumps. Visit your local Pentair distributor and check out all of the great features of this IntelliChlor Automatic Chlorine Generator. The prices range from $479.95 to $559.95. The most terrible chlorine generator in the world.Never buy this product.The most terrible technical support. This unit produces a white, granular by product that clogs the unit itself and must be periodically cleaned. This involves removing the unit from the filtration system and soaking the interior with an acid wash. During the summer I must do mine about once a month or sooner. This granular by product also builds up on other parts of the cleaning system. I have pop-up heads in the floor of my pool connected to master distributer heads. The pop-up heads and master distributer heads have all become plugged and stop working due to this build up. The excess granular by product also builds up on the pool walls and steps. Some of the excess even builds up in piles on the bottom of my pool. The water quality is, in my opinion, not as good as a well balanced and maintained chlorine pool. There is a harshness in swimming in salt water. Customer service at IntelliChlor has not been very helpful in mitigating this situation. I guess the answer is that they don’t know what to do about it either. I asked if they know what the chemical make up of this material is and I haven’t been able to get a straight answer. For people with the proper equipment, I’m sure this material can be easily analyzed. They have probably done it and refuse to divulge the results. My recommendation is to avoid this and all salt systems for purifying your pool water.